“When I heard that three count, the only thing that went through my mind was, ‘I did it. I finally did it. No more doubts.’” An extremely proud Suede Thompson has been strutting around Sin City with the PP3 Cup in his grasp. 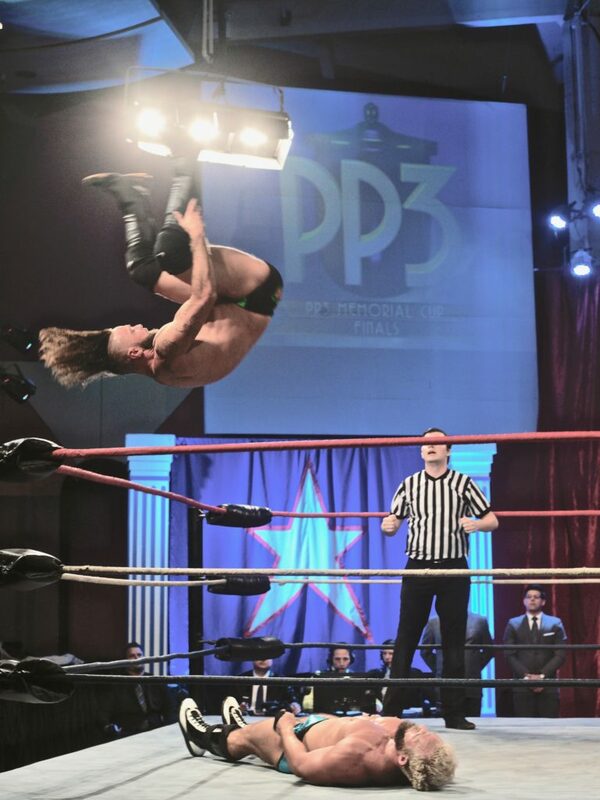 Landing a 450 Splash onto PP3 Finalist Royce Isaacs and scoring a pinfall victory has bigger implications for the “One Man Show” than just winning one Main Event match. Coming out on top in the Percival Pringle III Memorial Cup Tournament is a career-making moment for Suede Thompson and one he doesn’t intend on letting slip through his fingers. For former PP3 Cup Holders, winning that Tournament has been a launching pad to stardom and, for some, certain gold. In the past, Cup Winners like Ricky Mandel (2014) and YUMA (2015) have elected to use their title opportunity to challenge for and win the Hollywood Heritage Championship. Other Cup Holders like Watts (2016) and Dicky Mayer (2017) have found partners and have gone after the United World Tag Team Championship. 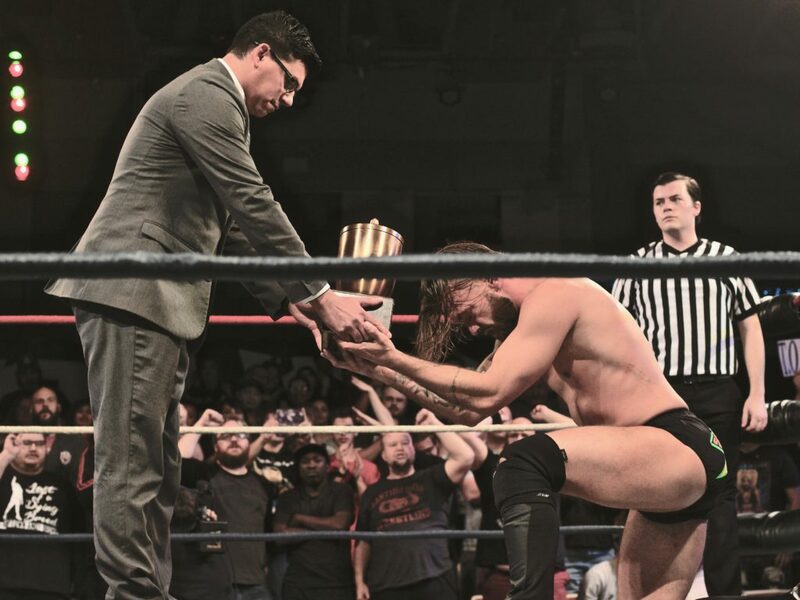 2018 is the first year that the Cup allows the Holder to challenge for any title defended in the United Wrestling Network. 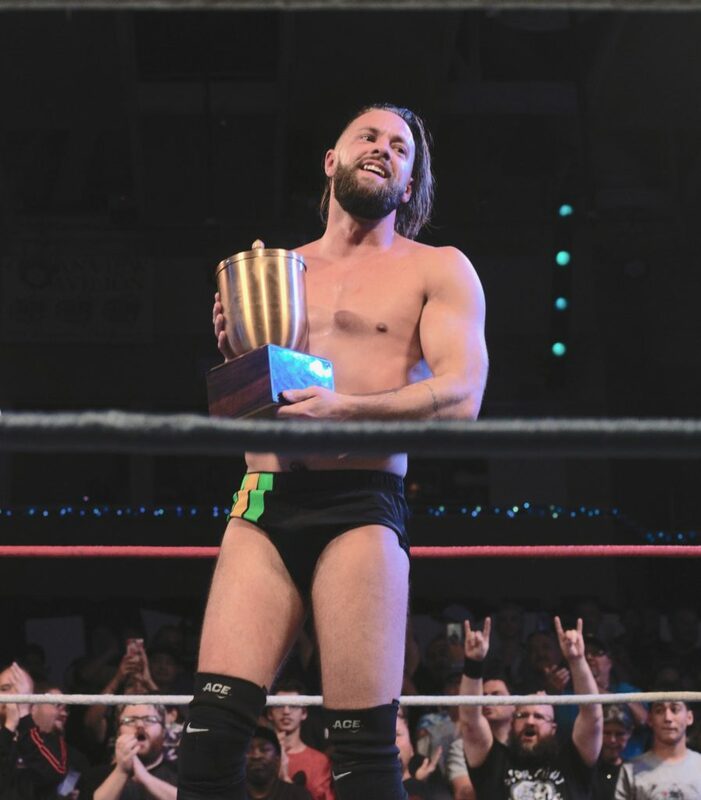 That opens up a whole world of possibility for Suede, because if he successfully challenges the right opponent at the right time, he could be on the fast track to title defenses all over the United Wrestling Network and all over the world. With that in mind and United set to crown its first World Champion this year, the “CEO of Suederade” has a lot of options when it comes to his title opportunity. UnitedWrestlingTV.com asked Thompson if he has any United Champions already in mind when the time comes to use Percy’s Privilege. Nikko Marquez presents the prize to the 2018 PP3 Cup Bearer. “As far as focusing on one certain title,” says Suede with a contemplative expression, “I’m keeping my options open and will be scouting the very deep talent pool that United has to offer.” Patience is a virtue and one that will hopefully pay off in a big way for the 2018 Cup Bearer. “Top Guy” is no longer just a nickname for Suede Thompson. Fanfare for Suede has been overwhelmingly positive and his victory in the finals of the PP3 Cup Memorial Tournament proves that he is the man to watch in 2018. Everything’s looking up, so turn down for what? !